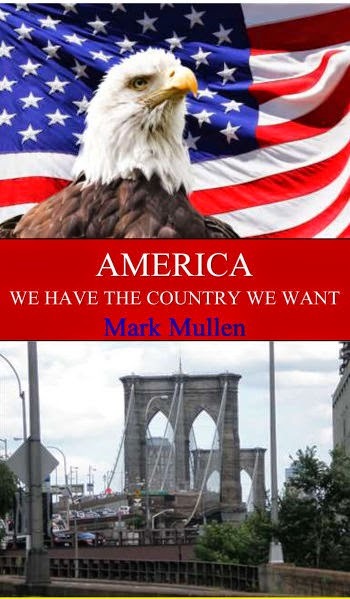 "America: We Have the Country We Want" by Mark Mullen is a fantastic book offering a fresh perspective on key social issues in America with the goals of entertaining and enlightening readers. The opinions and arguments set forth by Mullen support the conclusion that "we have the country we want," and that we are comfortable with the status quo, no matter if certain familiarities are harmful and warrant changes. Mullen exposes the social issues affecting American businesses, schools, communities, churches, law enforcement, and the media. For example, the author discusses such topics as changes to employee-employer relations, healthcare, pension plans, and age of retirement, as well as the players, successes, and failures of corporate America. Mullen also evaluates some myths of education, and the roles of traditional and social media in our lives. These are just some of the many topics the author covers with reasoned and impressive arguments and case studies. Mullen writes extremely well, informs readers with the most pertinent examples, and is refreshingly candid in his thoughtful analyses. "America: We Have the Country We Want" is the perfect book for readers interested in hearing a new take on the social issues affecting Americans.